Inkspell is the immediate sequel to Inkheart. 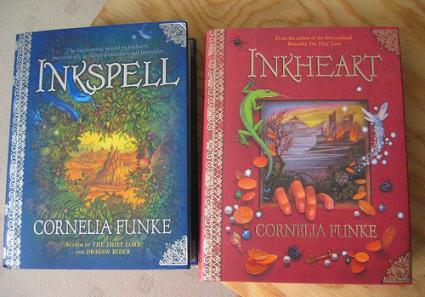 The Inkheart sequels, titled Inkspell and Inkdeath, are the latter volumes of the compelling fantasy trilogy for children by German author Cornelia Funke. The central theme of the trilogy deals with magic as it relates to reading, insinuating that reading is a magical act with the potential to hold incredible power. Inkheart, the trilogy's first book, follows Meggie and her father, Mo, after they realize that they have the ability to transport book characters into the real world by reading aloud. The talent turns out to be both fascinating and dangerous, as bringing fictional characters into their universe has severe consequences that Meggie and Mo had never considered. As Inkheart is part of a trilogy, it has two sequels. 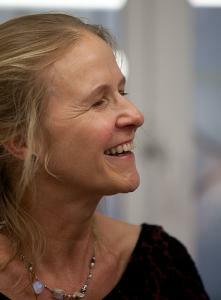 Cornelia Funke, the author of Inkheart and its sequels. Inkspell was published in 2006 to follow Inkheart. It takes place a year after the first book ends and opens with Meggie reflecting on the characters that Mo brought to life from Inkheart. Dustfinger, one of the primary characters from the trilogy's first book, is still in Meggie's world but wants to go back into his book. Other characters from Inkheart are also present, including Resa and Farid. When one character finds what he believes is a way back into the book, it doesn't pan out, and he enlists Meggie's help. Instead of doing as he asks, Meggie uses her talent to transport herself and the character into the pages of the book, where Meggie's father already resides. After someone makes an attempt on her father's life, Meggie quickly realizes that the world of Inkheart could be more dangerous than she had imagined. Although Mo survives, he's captured soon after, and his wound prevents him from escaping. Eventually, Meggie and her father end up in a castle owned by the Adderhead, one of the trilogy's primary villains. Meggie makes a deal with the Adderhead, promising him immortality in a method only she can deliver if he will agree to release all of his captives. However, she also holds out on revealing a secret that could save her and finish the Adderhead off forever. Shortly after its release in 2006, Inkspell was awarded the Book Sense Book of the Year for children's literature. Inkdeath, the final Inkheart sequel, begins a few weeks after Inkspell ended. As a novel, it takes the themes of the first two books and explores them in a deeper way. The book opens with Meggie's father, Mo, being sent to the land of the dead. He is told that the only way he will be able to return to life and save Meggie from certain death is to kill the Adderhead. In an effort to comply, Mo hatches a plan to disguise himself and teams up with Violante, the Adderhead's daughter. After a few dangerous skirmishes with the enemy, the Adderhead's grandson joins Mo, Meggie, and Violante in their plot and helps Mo accomplish his mission and ultimately destroy the Adderhead. The Inkheart trilogy is available at all major bookstores and public libraries in the children's section. Although the books are aimed at middle-school readers and have plenty of action, some struggling readers may have trouble getting through all three volumes because they are long. The original book is nearly 600 pages, and the Inkheart sequels are also lengthy; Inkspell is more than 600, and Inkdeath tops 700. If you know a reader who has devoured the Harry Potter books or Christopher Paolini's Inheritance series, however, it's likely that he or she will also love Cornelia Funke's work.